Culligan is moving beyond its Culligan Man roots with a new ad campaign, tagline and branding aimed at attracting younger homeowners for their water needs. The Rosemont, Illinois-based water filtration provider will debut a 30-second spot starring Cary Elwes in a "Princess Bride"-themed message at Sunday's Golden Globes award show. This is Culligan's first national campaign in more than half-a-century, and also its first work from Fallon, which it named agency-of-record last summer. 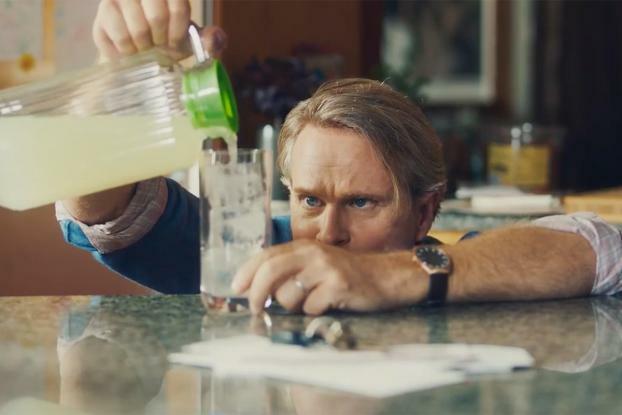 In the new spot, Elwes gives a nod to his role as Westley in the 31-year-old cult-classic "Princess Bride" as he performs fatherly duties for his young daughter, giving her noodles, drawing a bath and making ice cubes. He utters, "As you wish," after each demand. At the end of the commercial, Elwes extols the virtues of his Culligan-filtrated water to a neighbor, who exclaims, "Inconceivable!" "Water's hot and Culligan has great awareness, but research showed the newer generation of homeowners don't have the same awareness of everything we do as a brand," explains Larry Holzman, senior VP of Culligan North American Franchise. The new work introduces the tagline, "You Could Give Your People Culligan Water." The company is also promoting its name as Culligan Water, rather than just Culligan. While the Culligan Man, which was first developed as an advertising vehicle in the late-50s, some two decades after the company was founded, may still be used by individual franchise dealers, the national campaign will focus on the new messaging. The campaign is funded by franchisees, of which there are nearly 620, and the corporate office. In total, the budget for the push is around $50 million. In addition to the "Princess Bride" spot, which also will air after the Golden Globes on a select basis, Culligan will air a series of spots promoting the importance of treating water for modern family lifestyles. Elwes is providing the voiceover for all additional commercials. In total, Culligan is airing two 30-second spots and five 15-second spots on TV along with a robust selection of digital and social offerings. "The core campaign is actually more evergreen," says Holzman, noting that the "Princess Bride" spot serves as a kickstarter to reintroduce the brand to younger customers. The company is also pushing a social campaign tied to the hashtag #AsYouWish and has created, with Fallon, a custom Alexa Skill for the first time. If consumers ask their Echo a question about Culligan, she will start the answer with, "As you wish." Minneapolis, Minnesota-based Fallon also handled media duties for the new campaign.